Mel Birnkrant, the Baby Face Daddy, has sent us new copies of all the videos, made directly from his original Masters, for me to share with all of you. They are totally awesome! I will be adding them to our YouTube Channel. 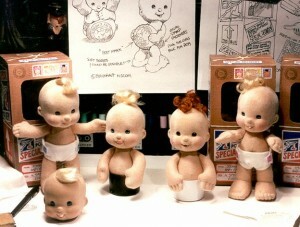 This first one is the Special Delivery dolls presentation video. 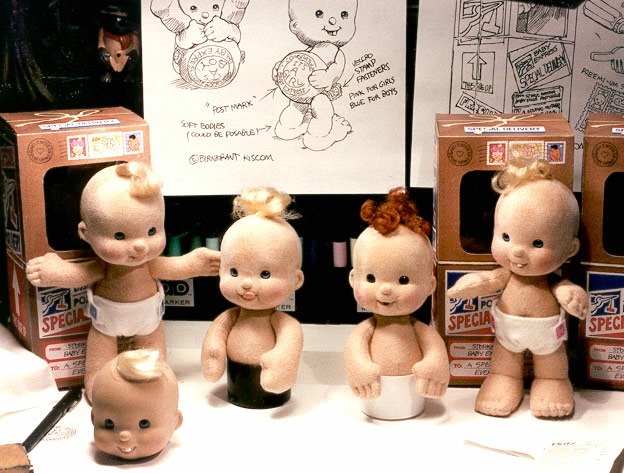 It features the original prototype dolls that were made with flocked vinyl heads. You will be more familiar with them as COD or Cuddle On Delivery dolls, which is the name that TYCO gave them. They also eliminated the flocking on the heads, but otherwise the Cuddles are pretty much identical to the prototype dolls you see in this picture and in the video.